Project scheduling has been mentioned and inferred as a most important task in doing a project. A project manager needs a project schedule for the smooth functioning of the organization and the project. He needs to be organized and goal oriented for the project and should know which employee needs to employed for which task and when to be employed. A project manager uses certain tools and techniques to do project scheduling. A project scheduling includes sequencing of each task into a timetable and performing them accordingly. Here we will discuss the role of floats, leads, and lags in developing a project schedule. Float: A float is a time between two activities which is given because of complexity or other reasons for tasks. A float time is kind of a relaxing time or a backup time which is assumed to be used if something wrong happens. 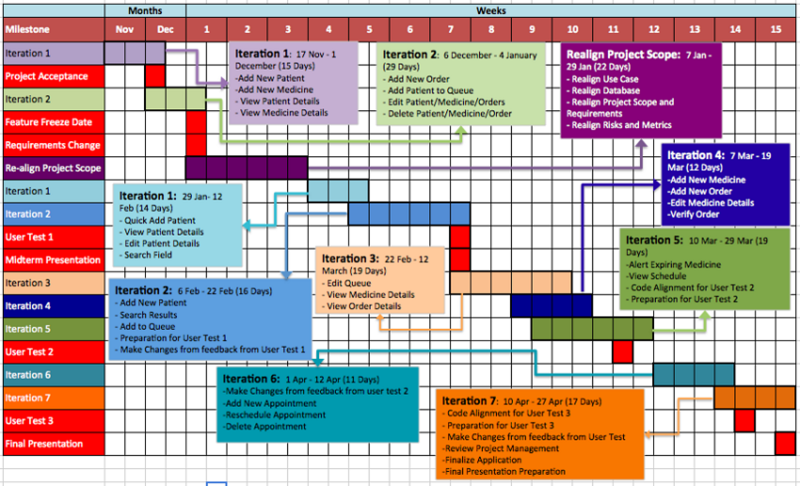 Float method is an essential or a key factor to make a project schedule. Suppose there are three projects consecutively and one has to be performed after one another. A project manager will decide which activity has to be completed when and if some activity has been doubted as a complex one then he/she may keep some extra time or float time for the completion. It is not necessary that the float time has to be used. It is just the backup time. If tasks are completed on the time then well and good otherwise float is there. If sometimes float has been kept for activity A and that is not used but activity B is taking a long time then that float can be carried forward for Activity B. Lead and lags: Leads and lags are nothing but kind of floats only. Lead time is basically the overlapping time which occurs between two tasks period. It is the time which a task manager uses to do a task earlier then it is mentioned or required. For instance, there is a wedding happening and 4 days are assigned for the photoshoot and 6 days for photo editing. But, a project manager starts photo editing only on the third day of the photoshoot which is happening. So, through that, he will save 2 days and will complete the task in 8 days. Here the lead time is of 2 days which happened on Day 3rd and Day 4th of the photo shoot. Lag is something in which an activity is delayed due to the performance or some other reasons of predecessor activity. Lag time is the time between the start of the two activities. Say, 2 days are defined for Task A and B. after completion of task A, Task B should have been started but it did not start because of a reason that could not be procured therefore task B stars with 1-day delay and task is completed in three days. So, the lag time here is for 1 day. Float, lag, and leads are important for any project manager to make a project schedule. He can learn all these things from Project management certification training programs easily.